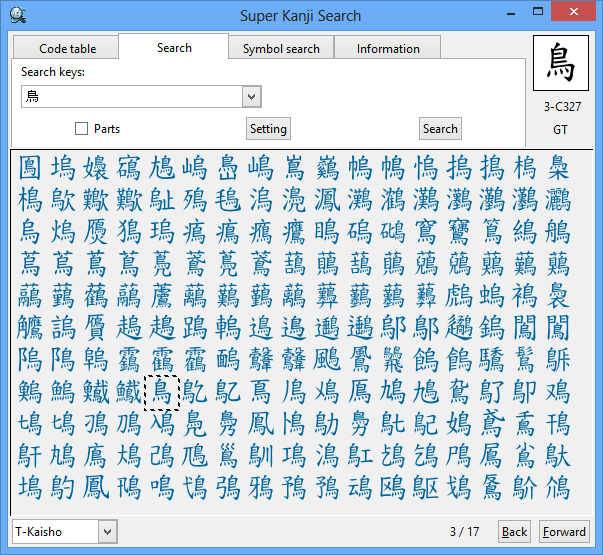 What is "Super Kanji Search for Windows" ? Who needs "Super Kanji Search for Windows" ? Those who want to manage a customer list or a membership list with the exact character shapes. Those who want to write research papers or reports with the original character shapes. Those who want to create greeting cards with various characters. Those who want to make the original Emoticons using rich symbols. 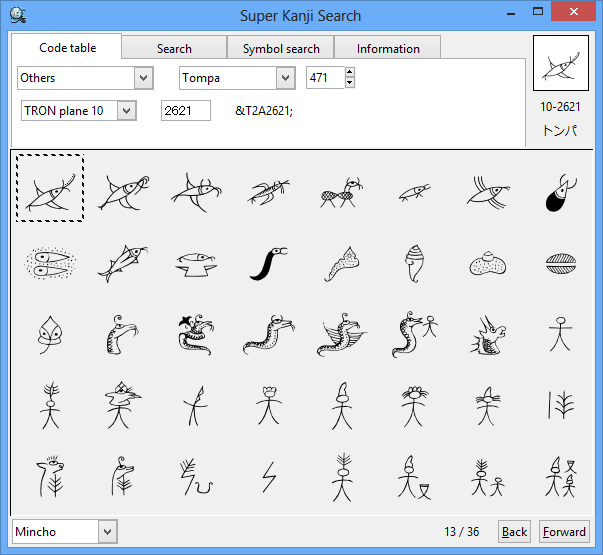 Features of "Super Kanji Search for Windows"
With "Super Kanji Search for Windows", you can also search symbols as well as Chinese characters(kanji). You can search characters at Code table. If you already know the character code of the character you want, it's easier to use Code table. You can paste the searched character to the other apps including Word and Ichitaro as a character or an image. In addition to Windows version, Linux version is also available. Available for download from the website. You can use all the functions of "Super Kanji Search" for a free trial period of 10 days. * Please download by Windows PC. Send the download page's URL by an e-mail.